When the room temperature is high, the heat is taken away to lower the temperature by the air conditioner & conversely, when the room temperature is low, the heat is supplied to raise the temperature. In addition, moisture in the room is removed to maintain a comfortable humidity level. 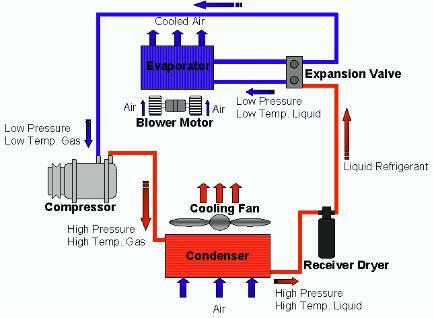 To perform these operations, the air conditioner for the automobile generally consists of a heater, cooler (evaporator), ventilation system such as a blower & ducts, & air purifier.